Displays the name and path of the user whose context should be used to perform the queries. Opens a dialog, where the user can be selected. With this option, you can define a system value that provides a user GUID. 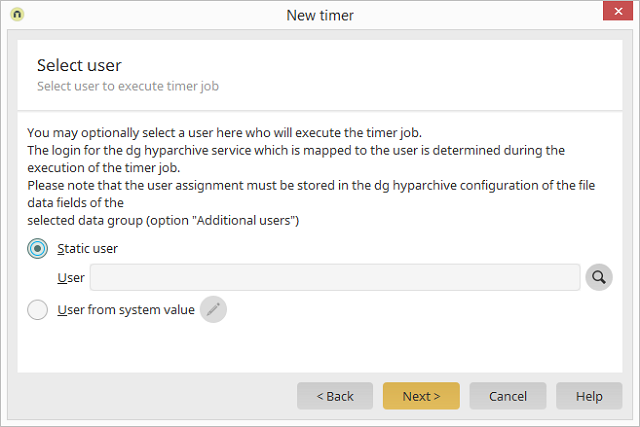 If a user is not specified here, the global timer will run in the context of the user who last published the process.